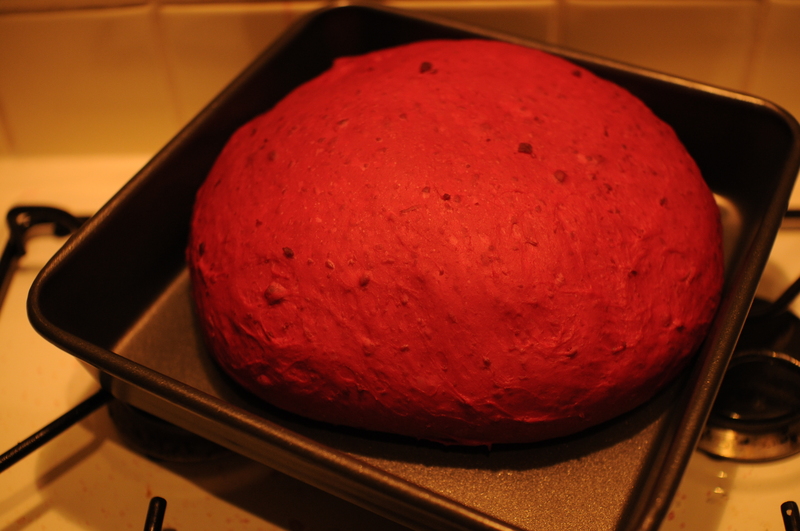 Yes, you read that right, i made beetroot bread. You’re probably thinking i’ve lost it, that i’m well and truly off the rocker now but you know what? it’s goooood. i’m not entirely sure why but the other night the idea popped into my head and, try as i might, i just could not dislodge it. And i’m so glad i couldn’t, i think this is something i’m going to be making again and again. 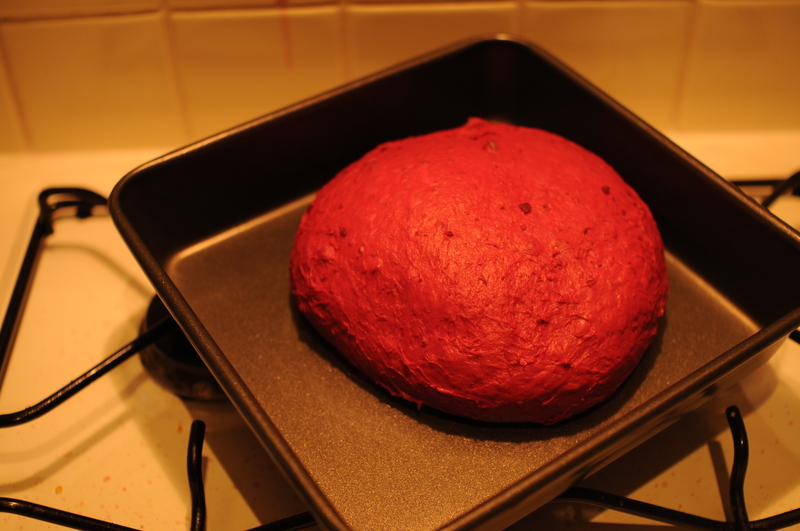 I think it stemmed from the thought that carrot and courgette works in cakes so surely beetroot might work in bread. 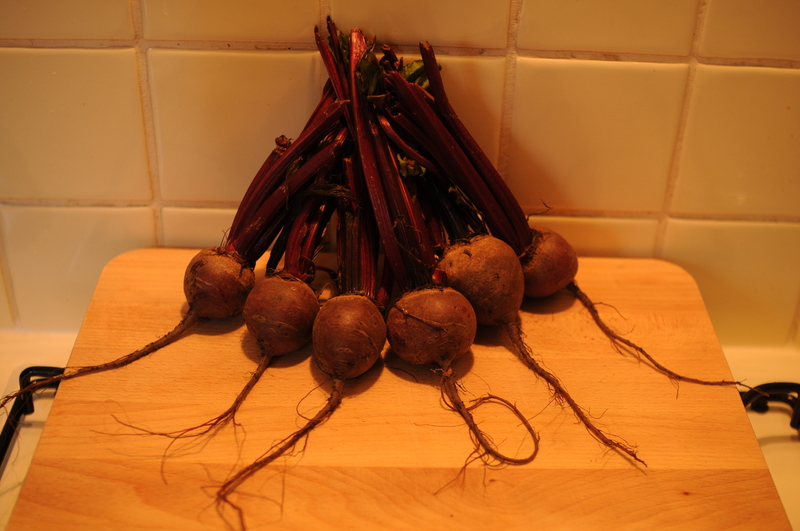 Anyway, after a little investigation i discovered that people have used beetroots and other root vegetables in bread in the past when flour was expensive and scarce. I had to test it out and, after a little tweaking and a couple of moments of panic it came out really well. 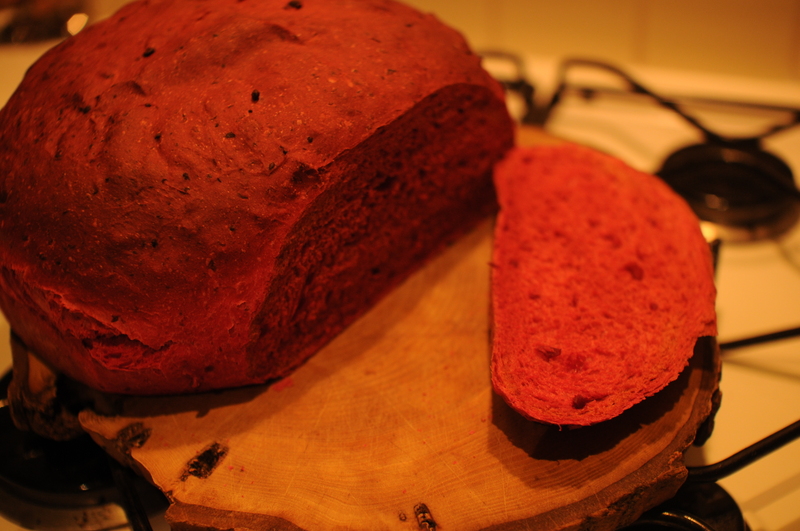 It’s not an overwhelming flavour, but the delicate sweetness of the beetroot is definitely there and makes the bread totally unique. I’m already planning on what to do with it as beetroot is great with so many things, from bruschetta with wild rocket and goats cheese, to canapes with smoked salmon and dill to scooping up hunks of beef stew, it’s a winner. It’s also a good way to cram in some extra veggies which is always a bonus and it manages to make me feel less guilty about eating bread with everything. I don’t know whether it’s the cold or something else but there’s just something so comforting about bread that i seem to be constantly finding new ways to factor it in to a meal. These little babies are what got my mind spinning so, with them frmly in mind and with some fresh yeast in my fridge, we were good to go. 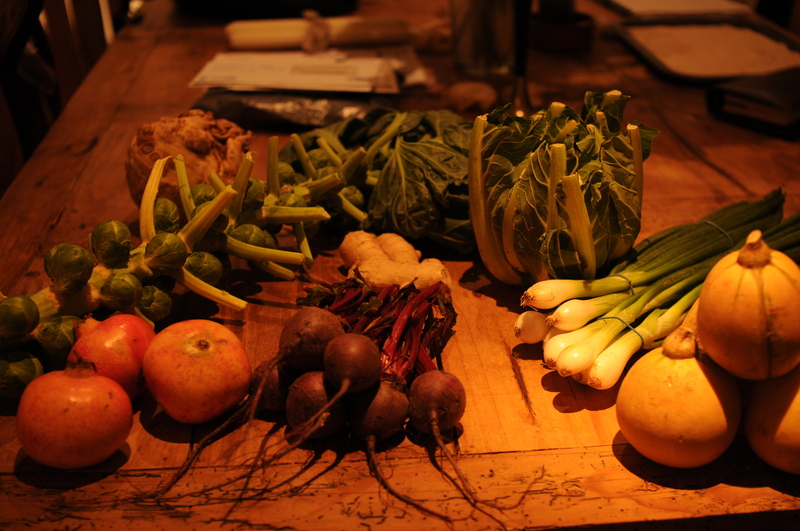 My mum came up for a visit so i got a delivery of veggies from the market and for some reason it makes me so much more keen to get straight in the kitchen to start playing around. Don’t they just look so much more tempting? 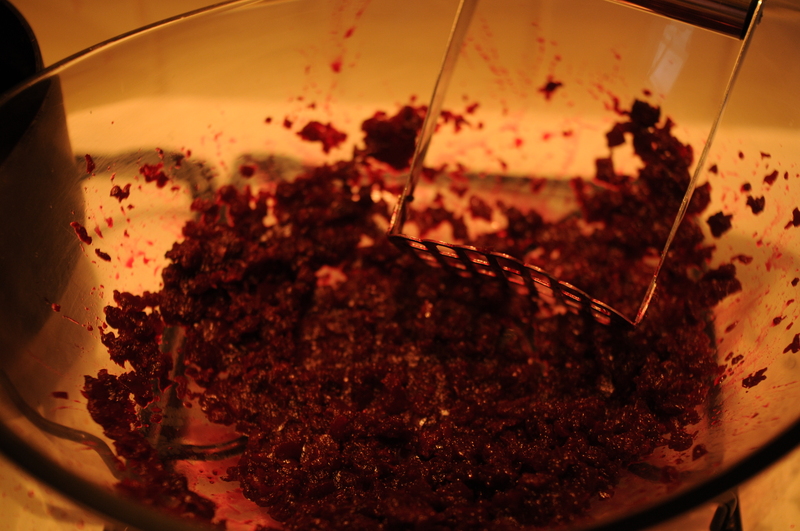 The other great thing about this is that you dont have to worry about peeling and chopping the beetroot. If you just trim of the leaves and boil them whole then it’ll keep in more of that colour which will make your bread look so much prettier! 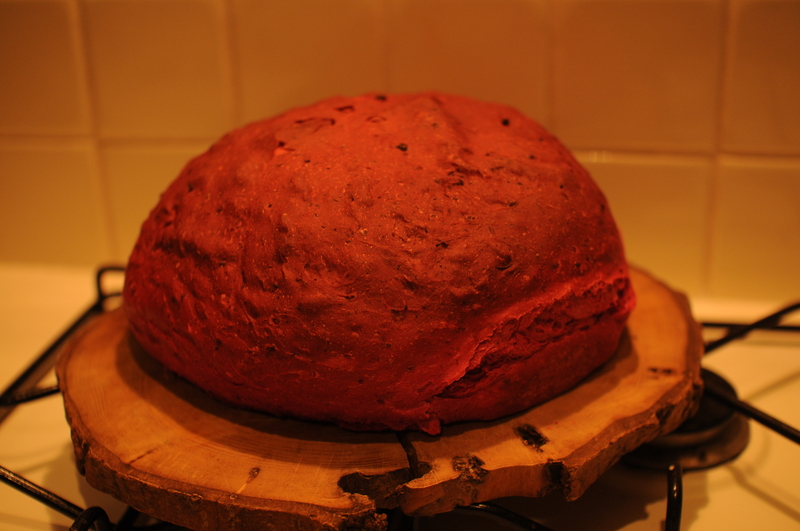 Right, so here we go, one recipe for beetroot bread, now bear in mind that this makes quite a big loaf so if you don’t want so much you can easily half the recipe or, even better, make the full recipe and divide the dough into 2. When they’re cooked, simply pop one in the freezer and then you’ll have one handy for next time you want one (which you will). 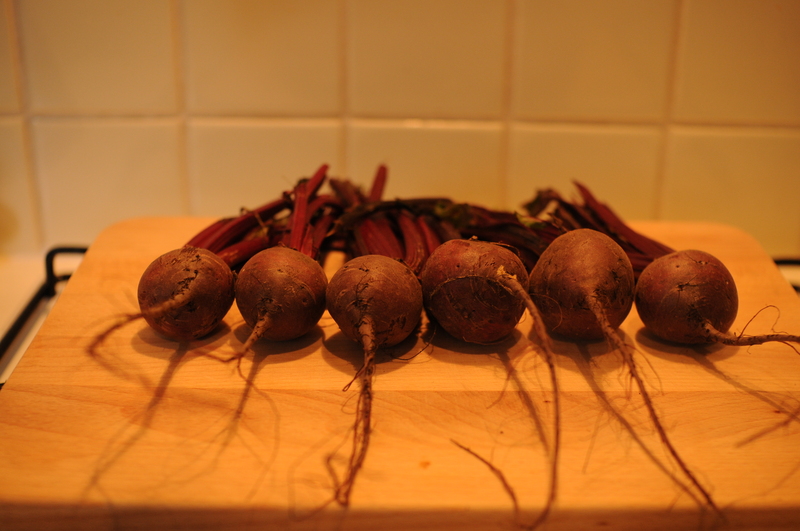 First up, trim the leaves off your beetroot, pop them in a pan and cover them with water. 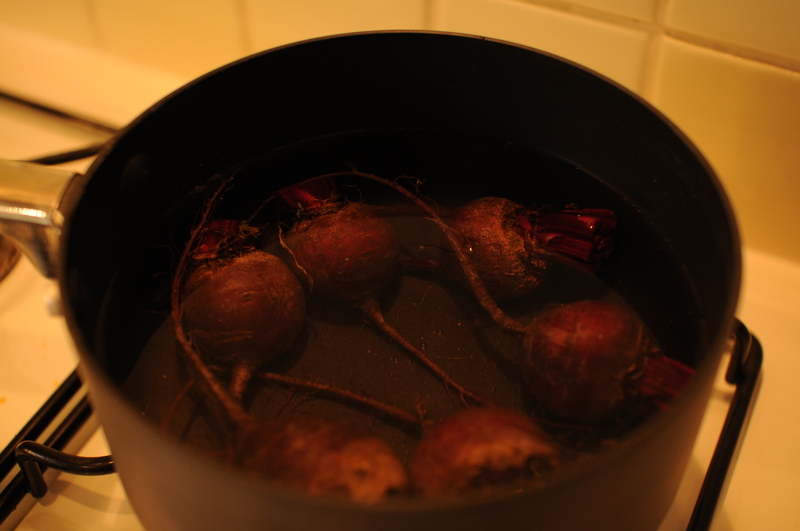 Boil them, with the lid on, until they’re tender. Once they’re cooked, allow them to cool in their liquid and then slip the skins off, discard the skins but remember to keep the cooking water. 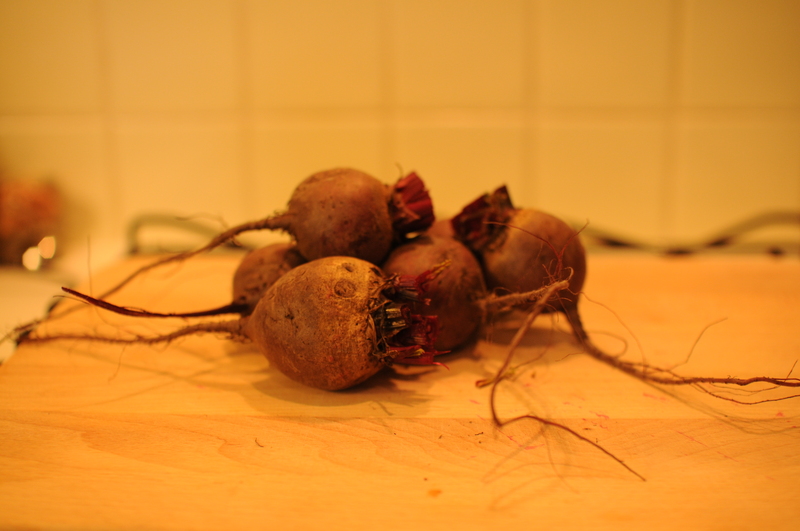 Pop the beetroot into a bowl and give them a good mashing. If there are a few little lumps left, it’s not a problem, it’s quite nice as it means you’ll have little jewelled flecks of it running throughout your bread. 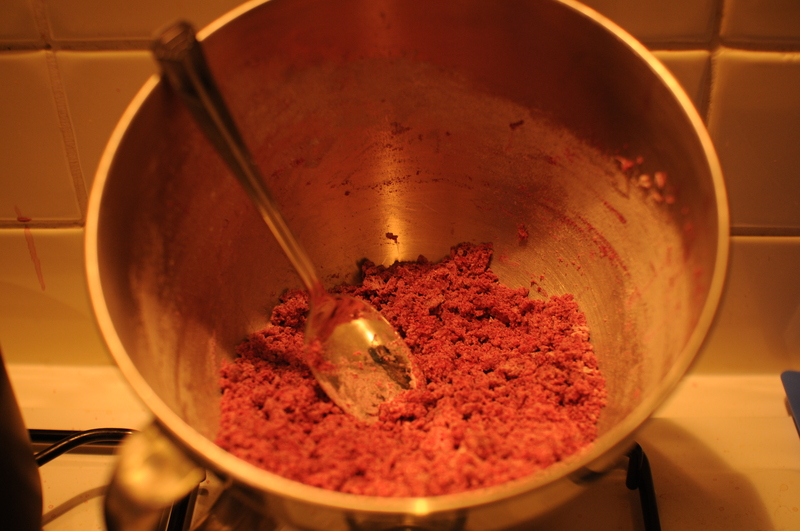 Now make a well in the centre and add the cooled, melted butter, the fresh yeast and enough of the beetroot cooking water to bring it all together. 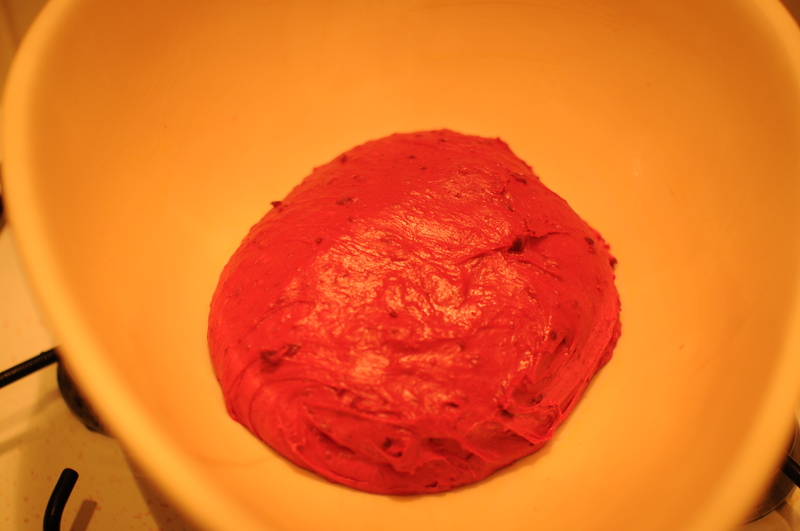 Knead it for 5-10 minutes until it’s smooth and even in colour, it might still be a tiny bit sticky but that’s ok. Form it in to a ball, place into an oiled bowl, cling film and leave in a warm place until it’s doubled it in size. Once it’s doubled, punch the air out of it (sooo satisfying) then reshape on a tray and allow to rise again. Pop the bread into a 180C oven for about 25/30 mins until it’s lightly brown on the top and sounds hollow when you tap it. If you’re still a bit unsure, feel free to stick a skewer in the bottom, if it comes out clean, your bread is ready. All that’s really left to do is eat it. Have some when it’s warm out of the oven, you won’t regret it. Great recipe, I really want to try it! Don’t forget to remind people where they can get fresh yeast as its not readily available.